Divide tubers and root cuttings to increase dahlia plants and provide masses of cut flowers from late summer through to the first frost. 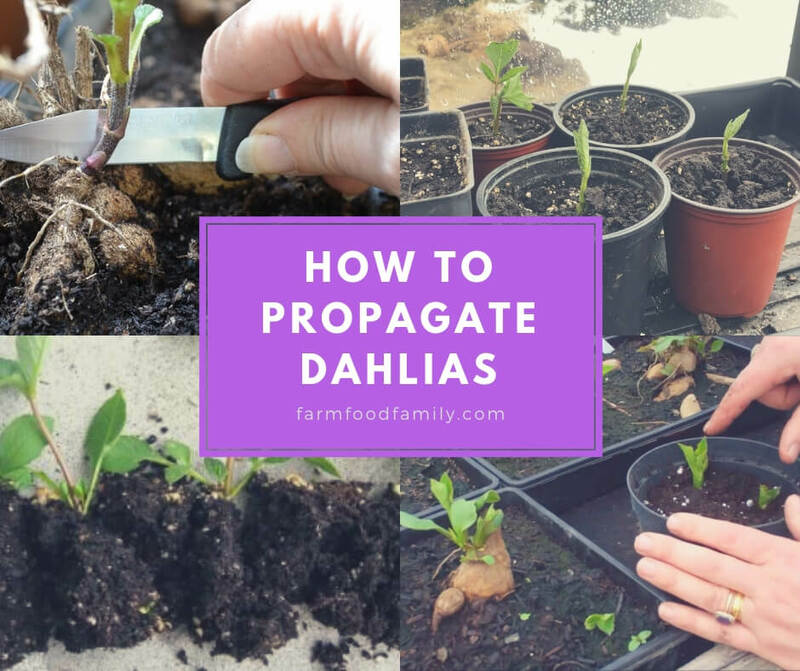 There are two schools of thought on dahlia tubers: Leave them in the ground through the winter, or dig them and store them. In areas where the ground does not freeze, gardeners often leave dahlia tubers in the ground through the winter. Since one tuber will produce several others during a typical growing season, within a year or two a clump of tubers will form. This is not optimal for flower production, but it is ideal for propagating new plants. In the spring, after danger of frost has passed, dig the clumps of tubers and cut them apart with a sharp knife. Examine the tubers for insect damage, evidence of disease, and nicks from the pitchfork or shovel. Replant healthy tubers that have growth buds, spacing them according to the requirements of the variety. Growth buds are usually found at the top of the tuber. Without these buds, the tubers will not produce new growth. Growth buds look like little warts and are usually pinkish or light tan. Gardeners who dug their dahlia tubers in the fall and stored them for the winter should take them out in early spring and examine them. Tubers that are damaged, moldy or shriveled should be discarded. Look for healthy, plump tubers with at least one growth bud. Usually fall-dug tubers are planted out in the garden in April or May when all danger of frost has passed and the soil has begun to warm. However, Adam Pasco, editor of the UK publication, Gardener’s World, suggests giving dahlias a head start by planting them in pots in March, then setting them in a greenhouse, cold frame or sunny window to grow. When the sprouts appear, he suggests removing all but a few by cutting them off near the base with a sharp knife. These cuttings can be rooted to produce new plants. Pasco says to dip the base of the cuttings in rooting hormone, and then insert them in moist potting soil. Keep the soil moist and the cuttings will soon root. When the cuttings have two or three sets of leaves and are about 6 inches high, pinch out the tops just above the upper set of leaves to encourage branching. Before planting the cuttings or sprouted tubers into the garden, Sunset Magazine’s 2001 edition of The Western Garden Book recommends enriching the soil with organic matter such as compost, well-rotted manure or ground bark dust. At planting time space the plants according to the recommendations for that particular variety. Generally, smaller varieties are planted one to two feet apart, while larger varieties may need to be as much as four or five feet from one another. Sunset’s Western Garden Book recommends putting a quarter-cup or so of granular, low nitrogen fertilizer into each hole before setting the plant in. Cover the roots of the plant with at least three or four inches of soil and water well. For maximum flower production dahlias need to be well watered throughout the growing season.